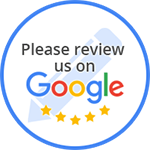 Customer Reviews for R/K Auto Body, Inc.
“Had a rear vallance replaced on a 2014 Audi Allroad. RK Auto body did a fantastic job of putting in on. I don't think the fitment could be better. Looks like it did from the factory. The price was super reasonable too. I know I found my go-to body shop in Crystal Lake! When I first got the quote for the rear vallance I also asked them about some egg stain on the car. Impressively, they didn't suggest respraying the car as another Crystal Lake Auto body shop did. After looking at the extent of the damage, they suggested to try buffing it out first and they we're right. For my particular stain, buffing was the right call. Saved me $1500 in paint.